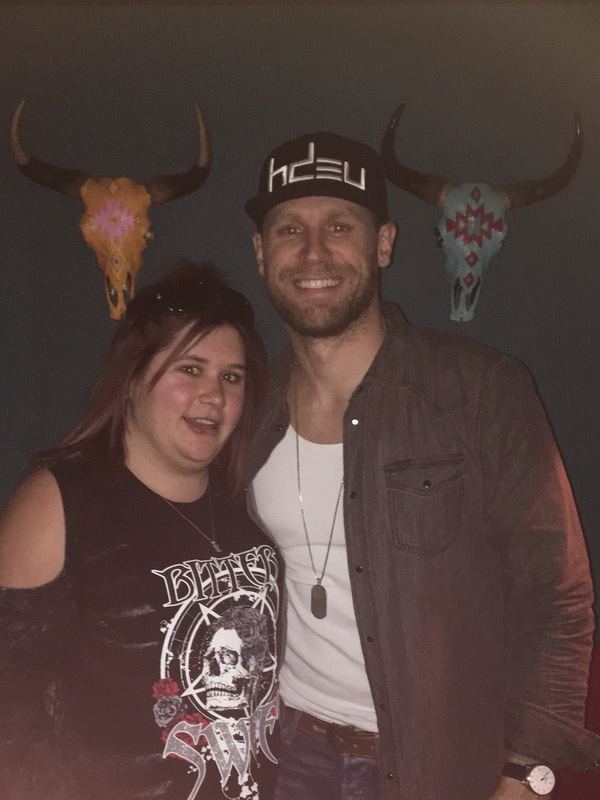 Chase Rice played the UK for the very first time this month (December) playing a string of shows across the UK. With a strong fan base here, it was no surprise that Chase sold out his London show and fans were eager to hear him play his old music and music from his new album Lambs and Lions. 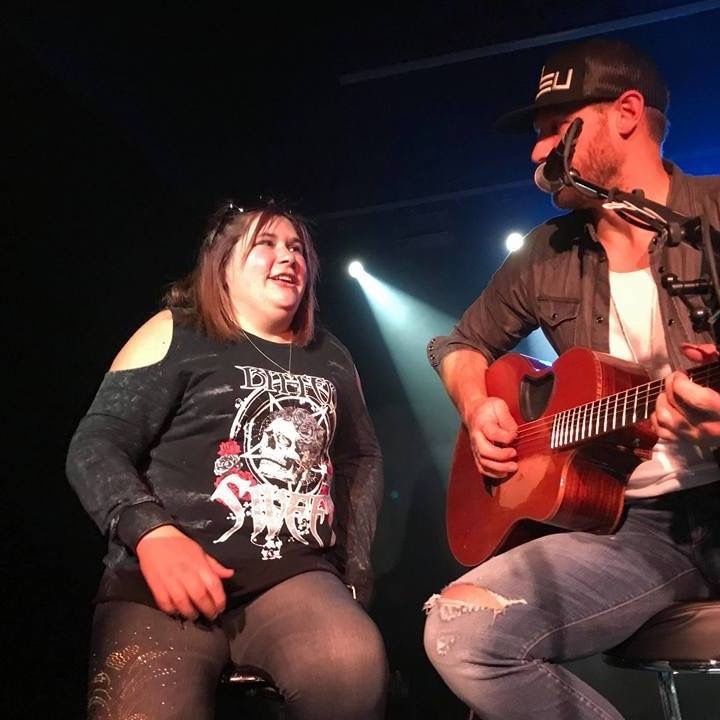 During his London show, Chase gave a fan in the audience a night to remember – Kayleigh Lewington shares her wonderful story with us below. Chase Rice came over to the UK for his first ever tour here. My boyfriend, friend and I went to the London show at The Borderline. 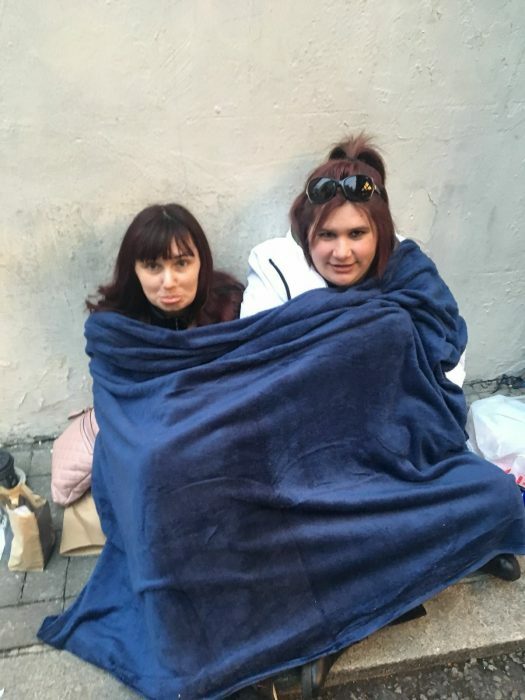 My friend, boyfriend and I got to the Borderline venue about 1.30 pm and we decided to stay there till the doors opened to secure a good spot inside – It was really cold but we kept ourselves occupied. When the doors opened we managed to get spots front and centre which made being out in the cold for hours worth it! When it came to Chase’ set, Chase came out with just his guitar and started playing a phenomenal set from the get go, he was interacting with everyone. Later on in his set, Chase was talking about an encounter he had with this woman from Birmingham about her excitement over him mentioning 50 Shades of Grey. For some reason, I just fell about laughing which caught Chase’ attention as I was standing front and centre. A little while later he was talking to the crowd again and then he looked at me and said “Hey you, I wanna talk to you”. At first I didn’t realise he was addressing me so I looked around to see who he was talking to and then he said “Yeah I’m talking to you, get up here“. Surprised, nervous and equally excited, I got on stage with him. I sat on a stool right next to him (eeek) and he asked me what my name was. I replied “Kayleigh” It took him a few attempts to get it right…. ha-ha! He also told me that I had a crazy laugh ha-ha! As I sat there, Chase started a bit of banter with my boyfriend Scott who was standing in front of him telling him how to stage the perfect marriage proposal – then all of a sudden Chase started serenading me with the song Ride (Oh my gosh) I think you need to see the video to see my reaction as I can’t quite explain it. Thankfully, many of my friends took photo’s and a video of the entire experience – it still makes me so happy watching it, I can’t get over what happened. For me it was the best acoustic show I have ever been too, even without the personal experience I had, but that encounter just made it even better, it made my night, one I won’t ever forget. Thank you so much Chase, I had a fantastic night and can’t wait until you come back with your full band.